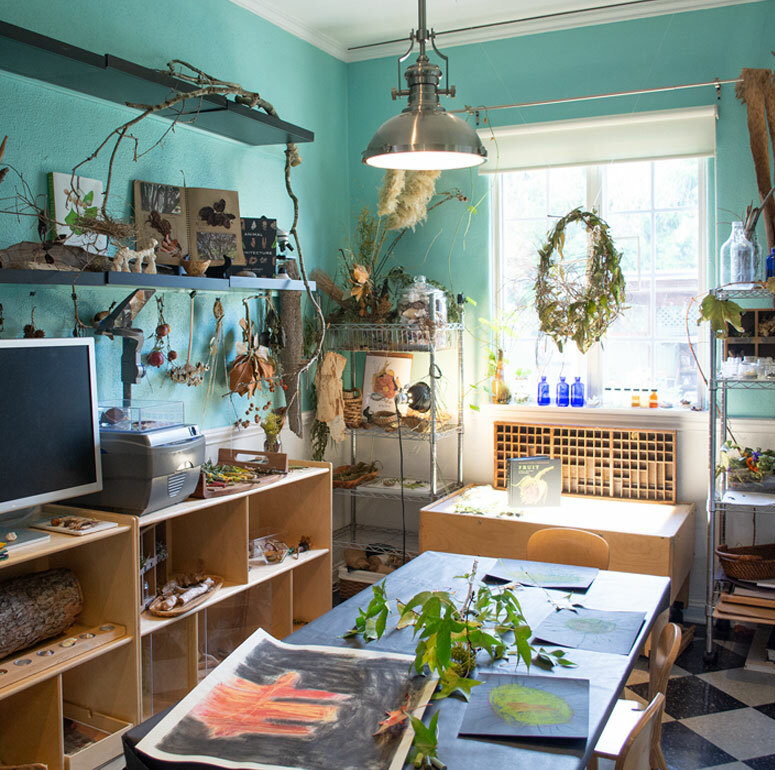 The atelier was introduced by Loris Malaguzzi in the Reggio Emilia preschools along with a teacher with an art background . The atelier has a special driving energy, a creative potential, a special audacity in finding meaningful ideas, materials and techniques. 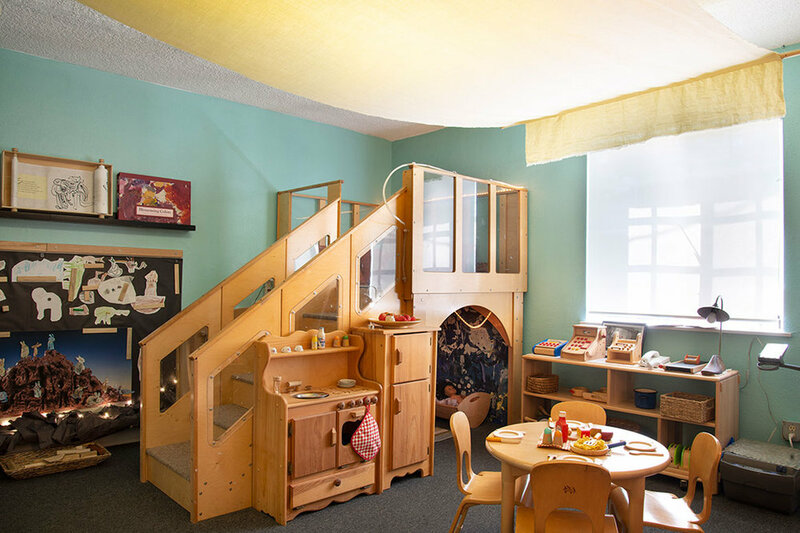 At Palisades Preschool we take advantage of the fact that the school’s 1926 building is made up of numerous small spaces in addition to four classrooms, a beautiful outdoor play yard, a large “basement” space, and another additional studio space offered to the school. The small spaces have been transformed into individual ateliers, two studio decks are present in the outdoor space; the large basement is used for music and movement and the studio space is used as a studio of construction. The whole school is a place to explore opportunities for thinking, researching and creating.